Data from the Federal Motor Carrier Safety Administration (FMCSA) tells us that for the last couple of years, about 420,000 crashes involving large trucks were reported annually by police. With more than 15 million large trucks each year transporting the majority of U.S. freight, it’s pretty easy to understand that accidents are likely. But what are the causes behind these accidents? We’ll talk about it in this issue. What are the most common causes for large truck accidents? New emphasis on blind spot warning systems in large trucks show promise in decreasing the number of accidents on our highways. But blind spots aren’t the only cause for large truck accidents. What injuries are most common in large truck accidents? Because typical delivery or large freight trucks can weigh 80,000 pounds fully loaded compared to the roughly 3,000 pounds of most passenger cars, it’s usually the passenger vehicle and those in it that will take the brunt of the force when an accident occurs. 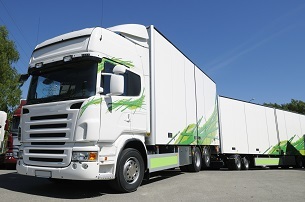 How can I reduce my chances of being involved in a large truck accident? Slow down (your chances of being involved in a crash nearly triple when you’re going faster than the traffic around you). We hope you and your family have a safe and joyous holiday season. If you’re involved in an accident, however, we encourage you to call us here at Barber & Associates.